Stormville Trucking complements our excellent service and is available to make deliveries to your home or business. Call us for more details or to schedule a delivery. A fleet of tri-axle and dump trailers are ready to deliver 12 tons or more. We can also help you find an independent driver if you require a smaller load for projects around your home or garden. Tri-Axle Dump Trucks haul 12-27 tons per loads. 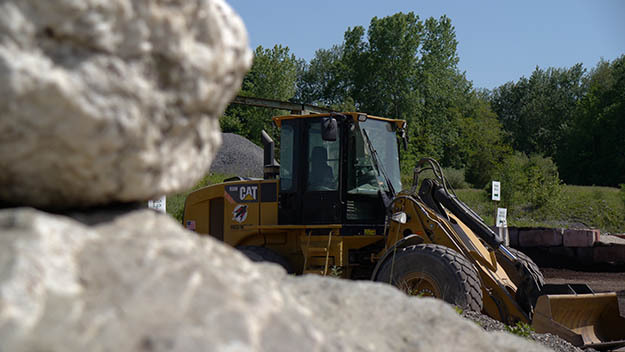 These trucks are the primary method of delivery to residential and commercial sites, because of their easy maneuverability, and ability to dump in more convenient locations than a larger dump trailer. Dump Trailer haul 27-42 tons per load. These trucks are used primarily for commercial deliveries. Freight charges are usually slightly less per ton than tri-axle because more material can be hauled per load. Availability of trucks for delivery can be determined by contacting us. You can also call our office at 845-221-2224 (then press #4 and #1) to speak with a representative for rates or to schedule a delivery. You can also pick up material in your own vehicle. All trucks must weigh in prior to loading. There is a $10 minimum charge for pick-ups. All material purchased is priced by weight. We are now offering Street Sweeping Service for our customers in Dutchess County. 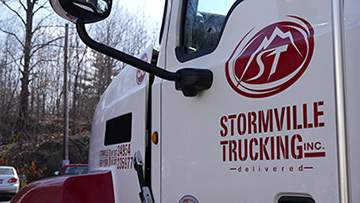 Stormville Turbo Sweep is a new sweeper company offering the same level of service and quality that you have come to expect from Red Wing Sand & Gravel. Visit our website, www.turbosweep.com for more information. Call us today at 845-221-2224 for more information.